A quick path to a bold quilt design, wedges are versatile and captivating¿a must-have shape in the modern quilter's toolbox. Expertly piece this trendy and versatile shape without complicated math or drafting. Sew up 10 distinctive quilts, each with full-size patterns, plus get tips on how to accurately cut and sew wedges. 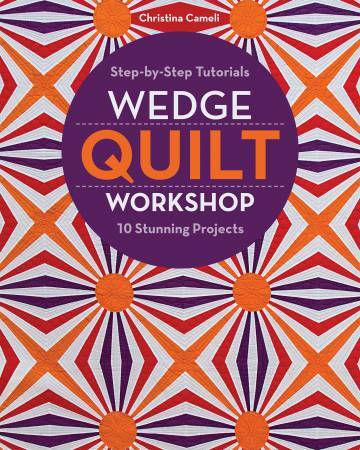 Best-selling author Christina Cameli's wedge quilt patterns are so unique, you'll want to make them all!